There will be one winner: the winner will receive a Micro Trike and can collect this in person at ZSL Whipsnade Zoo. Your prize must be claimed by 24 August 2018. The colour of the Trike you receive is blue. By entering the prize draw each entrant agrees to be bound by these terms and conditions as well as ZSL’s General Terms, which can be found here. Prizes are non-transferable and a cash alternative is not available. ZSL reserves the right to terminate, amend or extend this promotion without incurring liability, in the event circumstances affect its ability to operate the competition. We will not be responsible unless required by law, for any loss, changes, costs or expenses, which may arise in connection with this competition and we can cancel or alter the competition at any stage. The ‘Tell us your favourite Zoo moment’ competition encourages people to share their favourite Zoo story, using a form on the `Tell us your favourite Zoo moment` ZSL webpage. 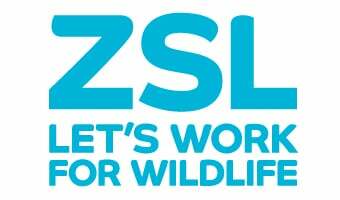 Entrants enter by sharing their story on ZSL`s `Tell us your greatest Zoo moment` webpage. Entries must be posted before midnight on Tuesday 31 July 2018. Each entry must contain a description of a chosen Zoo moment. Stories that depict animals in an undignified or degrading manner. The winner will be announced on Friday 10 August 2018.